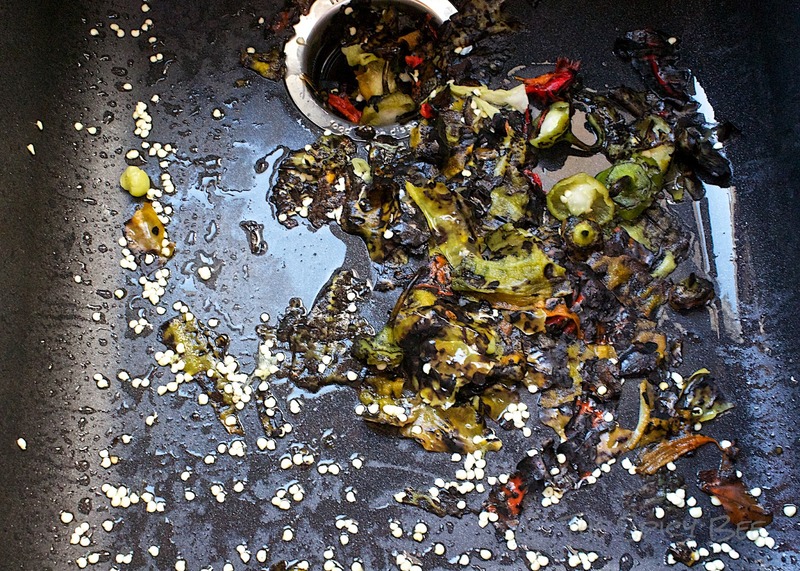 AHHH you say–FINALLY you’ve posted the peppers how-to!! …sorry guys I’ve been a sicky. Takes away all motivation (being sick and all). A clue to good peppers will be those in a plastic bag. Weird, isn’t it? 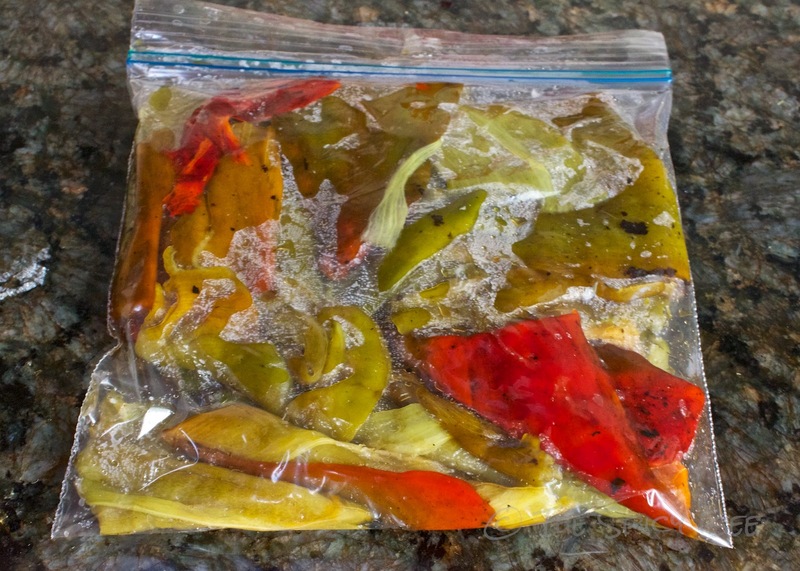 I wouldn’t have automatically gone to ziploc bag peppers, but it’s for a good reason. 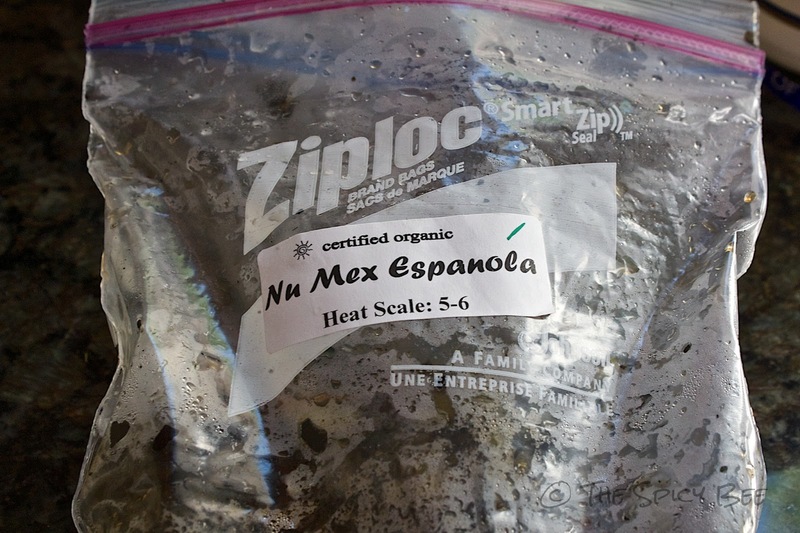 The ziploc bag will cause the (then hot) peppers to create condensation on the bag. It basically steams off the skin of the roasted peppers. Get all the nitty gritty after the jump! 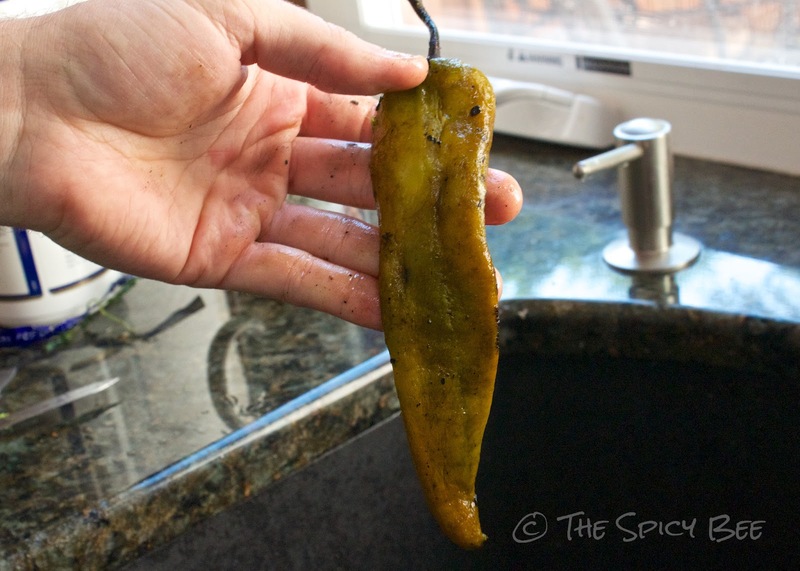 Remove the peppers from the bag and hold it over the sink awkwardly like this (hehe). But seriously, folks–this is going to be a messy endeavor, so over the sink is a MUST. 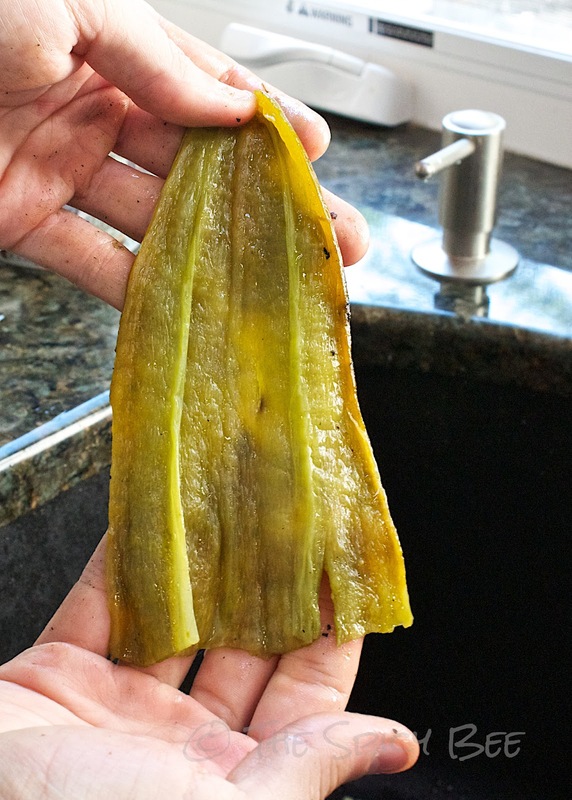 Peel the skin off the pepper with your fingers. 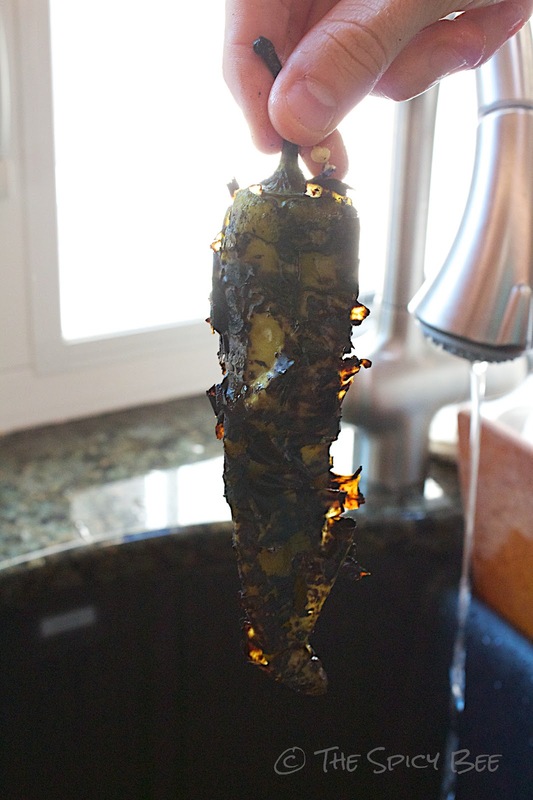 Do not rinse the pepper under water. If the peppers were roasted well, the skin should just slide right off (we did notice this also depended on the pepper. Some were more difficult to peel. Don’t get discouraged–this part will take some time. 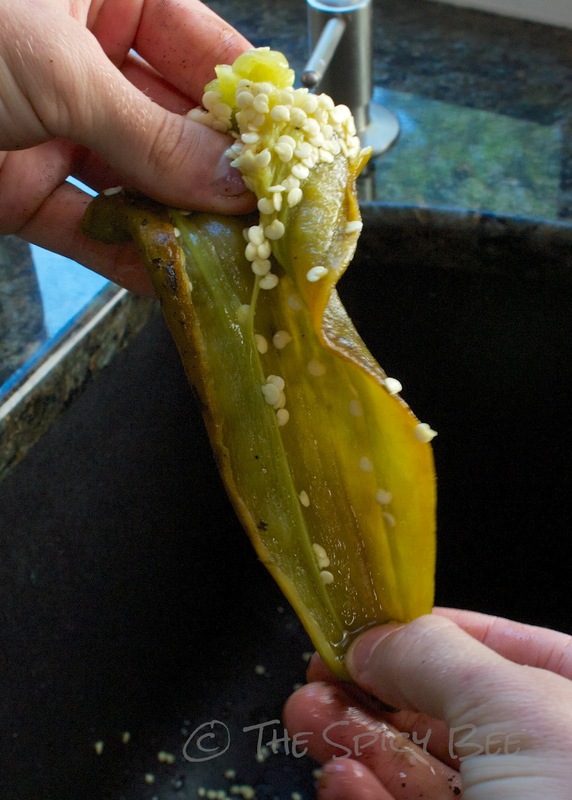 Now open up the pepper with a paring knife, and remove the seeds. Looking lovely! (BTW these aren’t my man hands, they belong to my Ktams). When finished, store the peppers in a fresh ziploc or storage container and keep in the fridge until the next time you’re looking to garnish! The peppers should last in the fridge for up to a week. Scramble the eggs in butter in a small skillet. Once the eggs are partially cooked, add the ham and peppers. Salt and pepper to taste. Meanwhile, heat the corn tortillas with a wet paper towel in foil to make more malleable (we do it in a toaster oven). 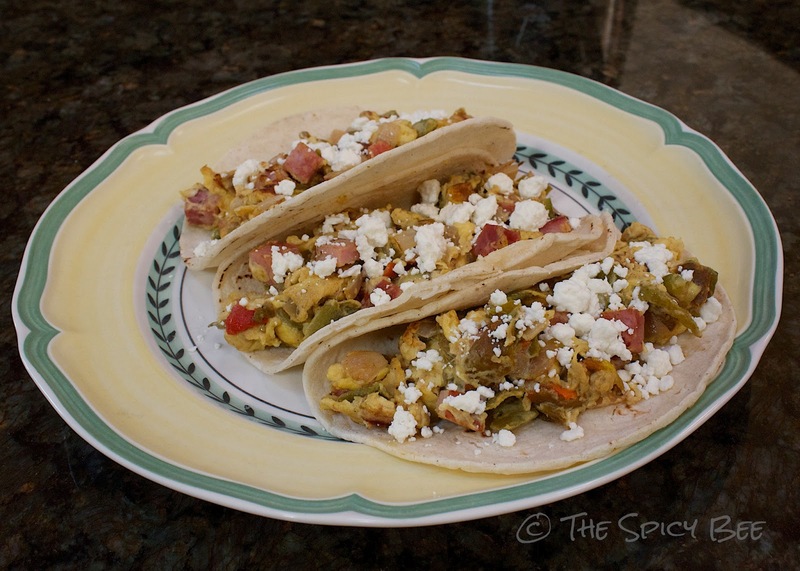 Distribute the egg, peppers, ham, and goat cheese among the warmed tortillas. Enjoy! (serves 1). Wow, good to know! I didn’t know that’s how they got the skins off! I’ve bought roasted red peppers in the jar before… but would be much better home-made!